An observation of the cosmic evolution of planets? One of the pillars of modern astrophysics is the study of how galaxies in the universe have changed over time. For example, because heavy elements (metals) are fused at the cores of stars and dispersed into the interstellar medium to enrich future generations of stars, the average metallicity of stars and gas in galaxies has been increasing as the universe ages. Researchers in this field are fortuitously aided by cosmology, since we can literally look back in time by observing galaxies from the high-redshift universe. 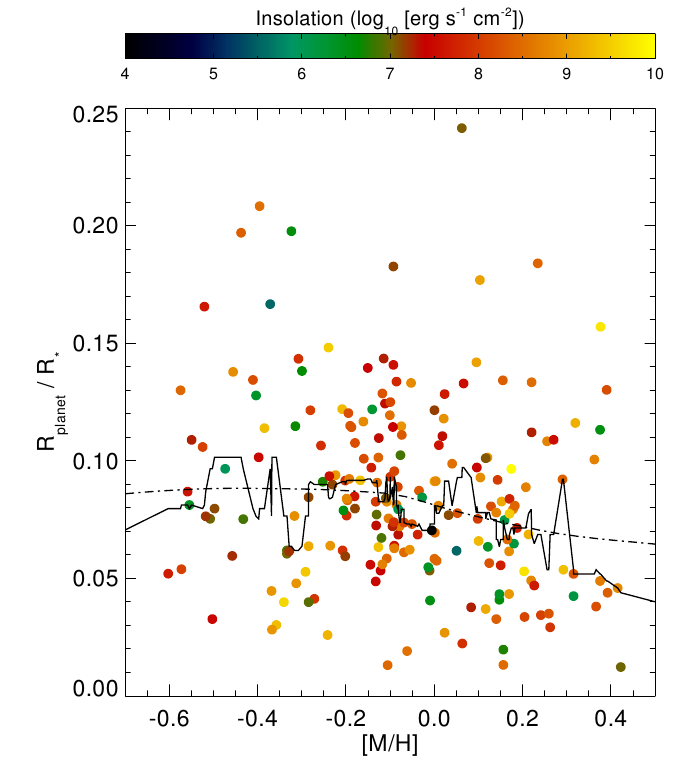 A plot showing the subtle correlation between planetary radius and stellar metallicity. The dashed and solid lines are polynomial regressions and moving-medians, respectively. Figure 1 from Dodson-Robinson 2012. Unfortunately, astronomers studying exoplanets do not have the same benefit. Due to their low-luminosity, we essentially can’t directly observe planets. We have to build exquisite instruments like the Kepler space telescope even to infer the presence of planets around stars in our own backyard — observing planets at cosmological redshifts seems impossible. But Sarah Dodson-Robinson makes use of another technique to study the evolution of planets over cosmic history, by using the chemical composition (metallicity) of stars within the Milky Way galaxy to study how chemical enrichment affects planets. Dodson-Robinson compares the radii of 213 gas giant planet candidates from the Kepler survey to the metallicity of their host stars, finding a subtle trend such that the higher-metallicity stars host smaller planets (see figure at right). 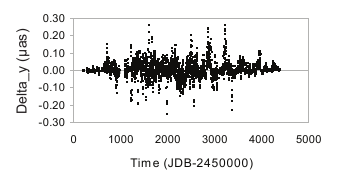 Of course, it’s not surprising that there is a lot of scatter in this plot — both Neptune and Jupiter orbit the Sun, and they differ in radius by ~3x. But using the Kendall rank correlation test, the author finds that if a real trend did not exist, the odds that you would observe this level of correlation by chance are (i.e. a 2.3σ result). Note that the author considers only the ratio of the planetary to stellar radius, . In this way, she essentially controls for any variation associated with the radius of the host star, focusing on only variations in planet size due to metallicity. It’s also true that this ratio is directly observable, while can be difficult to estimate accurately. This discovery, if verified by follow-up observation, is exciting because it gives us a glimpse of how the structure of planets formed in the universe might have evolved over time. Billions of years ago, when the average metallicity was well below that of the sun, Dodson-Robinson’s findings suggest that the planets forming in the Milky Way were typically larger (less dense) than planets forming around stars now. A dependence of atmospheric density on planetary metallicity was previously predicted in models of how chemical composition should affect the equation of state of planetary atmospheres. Since we also have observational evidence that planetary composition is correlated with that of the host star, this new result seems to be consistent with the earlier prediction. Dodson-Robinson speculates that this could reflect not only evolution of planetary structure, but also formation mechanisms. High-metallicity stars (in the modern Milky Way) should have plenty of dust from which planetary cores could nucleate and grow (the core accretion scenario), meaning that the planets will preferentially be formed out of the metal-rich material around the star and be correspondingly dense. In contrast, metal-poor stars (formed billions of years ago in the Milky Way) without much dust may preferentially form planets from any old material via gravitational instability and therefore be less dense. But the author states that her study is not conclusive. To verify the significance of the proposed correlation, she advocates for spectroscopic follow-up of the host stars of Kepler giant planets to measure their metallicities and radii more accurately. 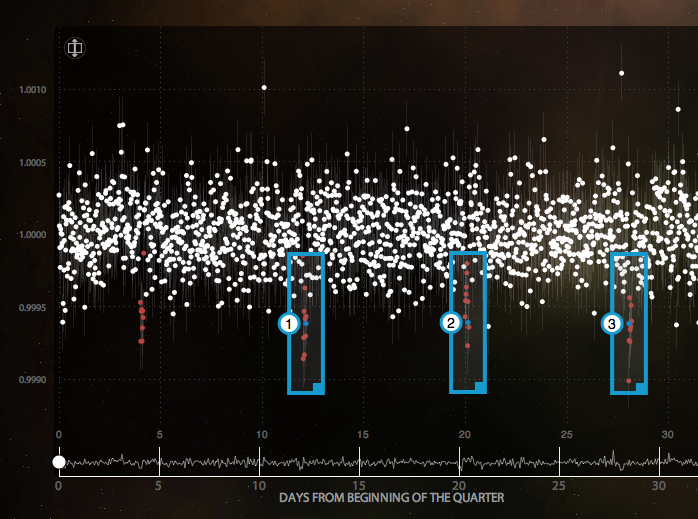 It’s also important to note that everything we know about the planets considered in this study comes from analysis of the Kepler transit light curves; there has not been any follow up with radial velocity observations or any of the other tools we use to characterize exoplanets. 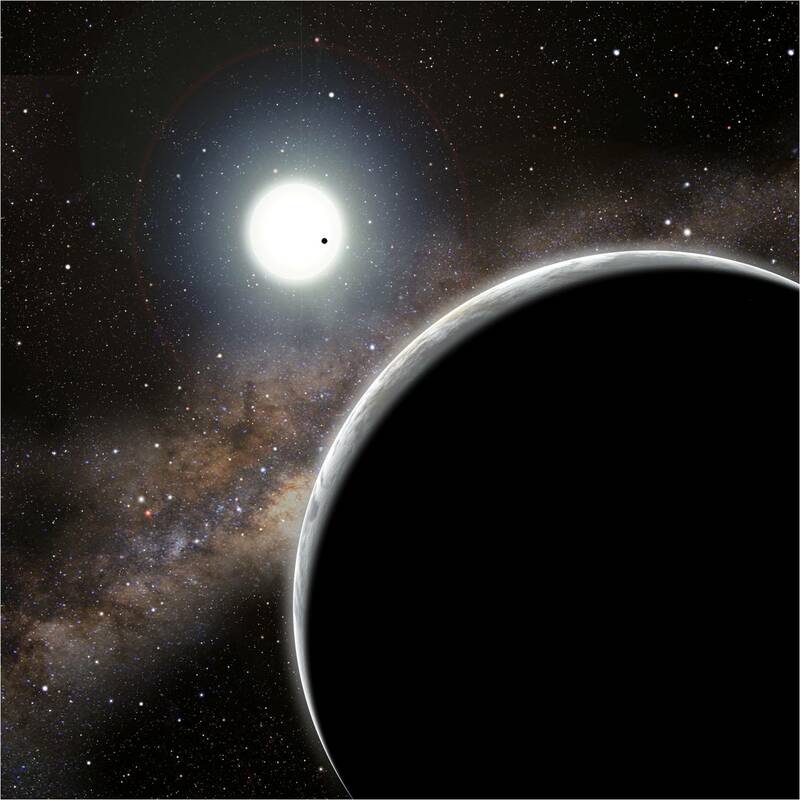 The author vetted the lightcurves by eye for transits that were unlikely to be true gas giants, but she warns that previous analyses indicate that as large as 40% of the sample could be contamination from eclipsing binaries or other inadvertantly-detected periodic sources. It should be noted that the Kendall tau rank correlation does not take into account observational errors, which unfortunately in this case are huge (and not plotted). Y-axis errors are on average 0.006, and can be as large as +/- 0.04. The x-axis errors, for every single point, are at least +/- 0.25. When observational errors are accounted for, there is not statistically significant trend.